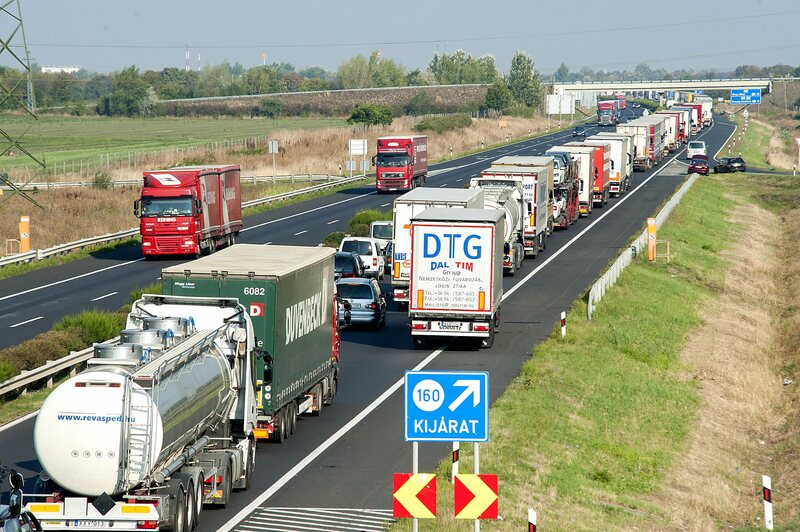 Budapest - Austria stepped up truck inspections Monday at its Hungarian border after 71 migrants apparently suffocated in one, creating a massive, 30-kilometer (18 1/2-mile) traffic jam on the main Budapest-Vienna highway. In addition to the backup at the Hegyeshalom border crossing, traffic was slower than usual at other Hungary-Austria border crossings, the traffic watch firm Utinform reported. And in Germany, the state government in Bavaria, which has all of Germany’s border crossings with Austria, said Monday it also had launched special traffic checks on highways near the border. All three countries are part of the EU’s Schengen zone of passport-free travel, where under normal circumstances vehicles are rarely inspected at the border anymore. Austria’s increased controls “prove that no European country is going to allow illegal migrants, including refugees, to reach its territory without control,” the Hungarian government said in a statement Monday. About 160,000 migrants have been detained already this year in Hungary, more than triple the figure recorded in all of 2014. Many apply for asylum but quickly leave the financially strapped European Union nation for richer EU countries like Germany and Austria before their requests are decided. In Vienna, senior police official Konrad Kogler told reporters that since Austria began the increased checks Sunday they have resulted in the arrests of five human traffickers and the interception of 200 migrants. Hungary is building a 4-meter (13-foot) high fence on its southern border with Serbia to try to stem the flow of migrants coming across the Balkans. Hungarian lawmakers this week plan to discuss proposals allowing the government to deploy troops to the border and measures increasing penalties for illegal migrants and human traffickers. Austrian police say the 71 migrants likely suffocated to death in a truck with Hungarian license plates that was abandoned last week in Austria on the Budapest-Vienna highway. Five suspected traffickers have been detained in the case and Hungary is stepping up its arrests of smugglers.